Heyzap Mediation allows a developer to setup and manage multiple ad networks through a single integration. The platform’s machine-learning algorithms then go to work, taking data into account like a user’s country, device type, operating system and more, to choose the best ad network for any given ad impression. These algorithms adjust in real time for each app utilizing the service, which Heyzap says leads to overall higher revenue. “Mediation of mobile ad networks has never been transparent, leading to weaker performance for the app developer. We think that by exposing prioritization of how ads are shown, developers will be able to trust the mediator and make better choices surrounding monetization,” said Heyzap co-founder, Jude Gomila, in a statement. By utilizing both Heyzap Mediation and its associated Mediation Insights, developers can make country and network-specific decisions more easily. This might include adding more networks to a country where existing networks are currently performing poorly, or removing a network with a poor fill rate entirely. 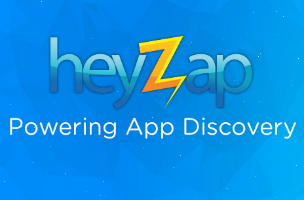 The Heyzap Mediation platform is available for free to iOS, Android, Unity3D and Adobe Native Extension developers.